In this Top 10 list we are going to tell you about the Top 10 reasons to choose Galaxy S3 over iPhone 4S. It is very difficult with one another because these two is the best phone in the world. People are confused what phone they should use. But we think that Galaxy S3 is quite different and quite better that the iPhone 4S. We hope that this post will help you to compare between this two. Here we put 10 reasons to choose Galaxy S3 vs. iPhone 4S. 1. Display Size: Top 10 reasons to choose Galaxy S3 over iPhone 4S we keep the point display size in the 1st place. This two belong the best display among the smart phones. Galaxy S3 has the display 4.8 inch with HD Super AMOLED, 1280×720. On the other hand iPhone 4S get the display 3.5 inch with Retina display, 960-by-640 pixels. 2. Weight: Weight is a factor for choosing a smart phone. In this case Galaxy S3 is advance than iPhone 4s. The weight of a Galaxy S3 is 133gm and the phone 4S got the weight 140 gm. Naturally Galaxy S3 is advanced then iPhone 4S. 3. Operating System: Now we are going to talk about the operating system between two. iPhone 4S is a smart phone with IOS operating system on the other hand Galaxy S3 is an Android phone with 4.0 TouchWiz. 4. Camera Features: These two phones have high quality camera features. phone 4S has touch-to-focus, geo-tagging, face detection, HDR in its camera but Galaxy S3 has more features then iPhone 4S like Touch-to-focus, geo-tagging, face and smile detection, burst photography with best photo selection, share with friends via face recognition. 5. Front camera: This two smart phone has very good front camera. But iPhone 4S has VGA camera in the front side on the other hand Galaxy S3 get two megapixel in its front camera. I think 2 megapixel is better than VGA. 7. Processor: Now we are going to talk about the processor of Galaxy S3 and iPhone 4S. Galaxy S3 has 1.4 GHz on the other side iPhone 4S has 1 GHz processor. So you can compare the difference between two. 8. Battery Power: Between this two phone’s battery power Galaxy S3 is advance than the iPhone 4S. The battery power of Galaxy S3 is 2100 mAh but the iPhone 4S has 1432 mAh in its battery. In this sense Galaxy S3 has the powerful battery than the iPhone 4S. 9. 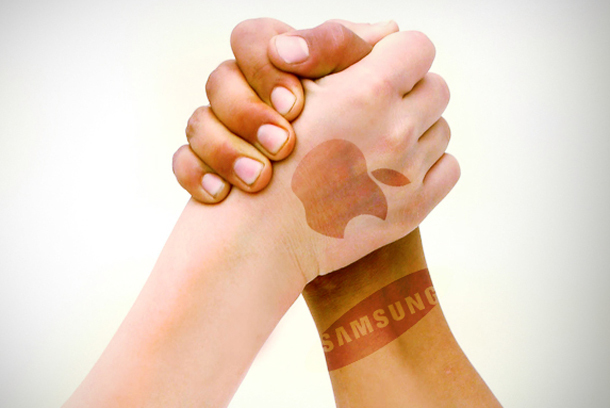 Stand-by Time: Galaxy S3 has 700 stand-by time but iPhone 4S has 200 stand by time. In this case Galaxy S3 is preferable than the iPhone 4S. So we give our votes in the side of Galaxy S3. 10. NFC and USB: Galaxy S3 has both NFC and USB port facility but iPhone 4S has none of these. It factor creates a clear difference between two. NFC and USB facility makes the Galaxy S3 more attractive to the people. Debate between GalaxyS3 vs. iPhone 4S, GalaxyS3 is clearly ahead than the iPhone 4s. We think Galaxy S3 is better than the iPhone 4S. After making the compare we keep our vote in the side of Galaxy S3.